The team at EZ Exchange understands the difficulties and stresses of navigating through different exchanges and trading cryptocurrencies. The current model is a significant barrier to entry for new traders, and EZ Exchange is committed to making cryptocurrency accessible and secure for all. They have designed, and are building, the best cryptocurrency exchange in the world by identifying and solving the issues currently beleaguering digital assets trading environments. EZ Exchange’s unique platform puts traders first, ensuring that users never again deal with substandard security or a poor user experience when trading cryptocurrency. When a new cryptocurrency trader first goes to EZ Exchange, they will have access to a comprehensive suite of training and support options to answer any questions or concerns they may have. In fact, new users will have the option to leverage step-by-step video tutorials accompanied by live agents, who can walk them through the entire process of creating, setting up, validating and funding their accounts with fiat through various simple methods. EZ Exchange has brought together the best talent across a number of disciplines to create an exchange like no other. They are working with regulators to be fully compliant with recognized global security standards, and have relationships with international banks that will ensure seamless integration with numerous payment gateways. Moving funds in and out of an EZ Exchange account, trading and learning about cryptocurrency will be easy, as it should be. I have talked to Russell, the CEO, a few times and I am impressed with the project. 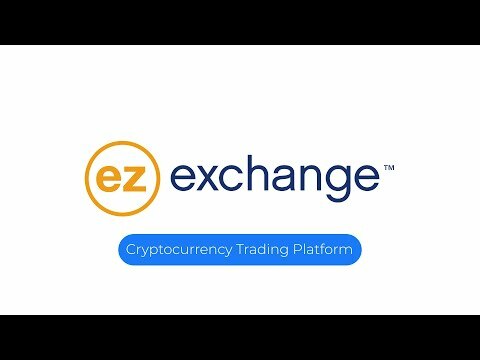 EZ Exchange is really making it easy for new and advanced users to get into cryptocurrency. I am big believer in having education be a part of the space as it continues to grow and mature. While normal exchanges have features that range from using utility tokens for trading fee discounts to stop-loss features for traders, EZ Exchange really promotes onboarding users with more integrating features like an academy to help them grow and learn and by having a full operational call center to help. The team is well-versed in call center management and organization as well to help in this area. The tokenomics also make sense for a project of this magnitude as well. The advisor lineup is strong. The whitepaper could stand to be improved a bit more but overall, the project is fulfilling a major industry need in making it easier for new and advanced cryptocurrency users to join in this exciting and new movement. I look forward to its success. There are lots of exchange already in market. Even your exchange is best one if nobody uses it is of no use. You need to do lot marketing and get people using your exchange. White paper is ok. Team is good. Creating exchange is very big job. Hopefully team will achieve their roadmap. Best of luck team. The exchange is now almost as common as a dental office. Under such circumstances it is extremely difficult to judge whether it is a decent exchange. But I received the impression they are working on the project so honestly. I think the members of this project are excellent. You can say that the token balance is accurate. I am looking forward to MVP being completed.